Barbara started her Career with B&K in Pontiac in 1992 with her husband Kenneth. Barbara received her Degree in Computer Science in 1999 from Heartland Community College while being a full time mother and business owner. Along with her Degree, Barbara has been responsible for steering B&K Technology Solutions Inc. into the emerging market of E-Scrap Collection and Processing since 2004. Barb holds various Board Positions including the Illinois Recycling Association and the Livingston County Economic Development Council. 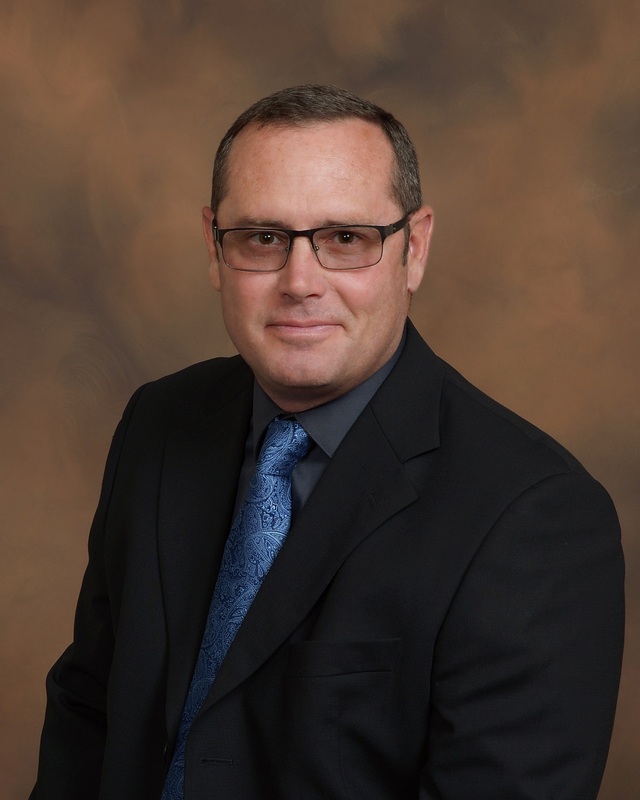 Kenneth started his Business Career in 1992 with B&K Technology Solutions as partial owner and operator after his 10 year Career in the US Armed Forces. While in the military, Kenneth attended various electronic schools achieving such honorable mentions as distinguished graduate for academic performance. 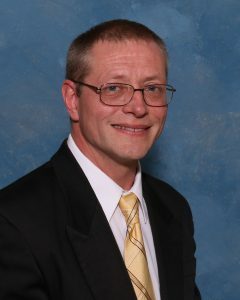 Since returning to civilian life, Kenneth has held a wide range of Sales and Operations roles at both B&K as well as ATS in Peoria IL. Kenneth brings 30+ years of IT and Electronics knowledge to ATR and has enabled ATR to become an Technology leader in Asset Recovery Services. Dave joined ATR in 2005 on the ground level as a warehouse employee. He has helped to establish ATR as a premier asset recovery organization. During his tenure he’s worked his way through the ranks to his current position as Fleet Manager. Dave is always looking for ways to expand his horizons and further educate himself. When not at work Dave enjoys traveling to warm places and spending time at the pond camping and fishing with his children. 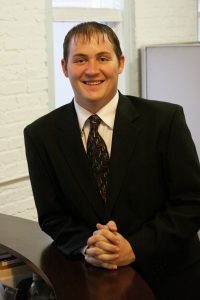 Kenny Joined ATR in 2006 and has held various positions from I.T. Technical Positions to Site Operations. Kenny has achieved CompTIA A+ certifications as well as other industry certifications such as Xerox and Dell. 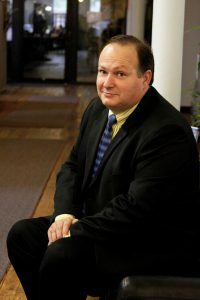 Kenny is currently responsible for maintaining a complex infrastructure of security systems, video surveillance, LAN/WAN, Internet/Intranet Databases and online platforms. In his spare time he enjoys working on classic cars and spending time with his family while routing for his favorite team the Dallas Cowboys. Liz Tolbert joined the ATR team November 2016 as the HR Manager. Liz has 26 years in employee management, ranging from the rehabilitation field to private and corporate sectors. Her and her husband owned/operated a local restaurant for 10 years. She attended Heartland college majoring in business management. When not at work, Liz enjoys spending time with her family. Ray first joined ATR in 2010 as the primary Business Development Manager for the central US region. 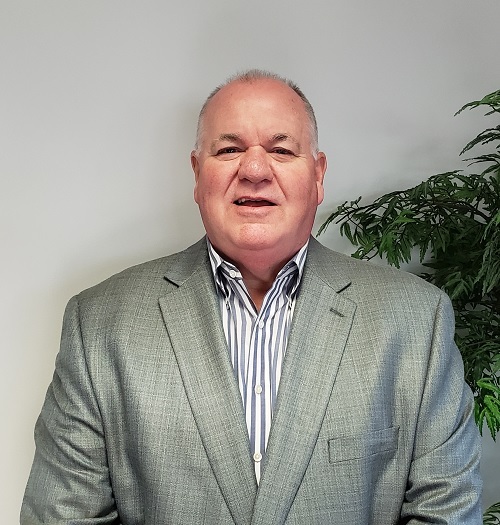 During his tenure Ray helped ATR sales and marketing teams expand nationally and he is currently forming a new client services department which will be based out ATR’s original corporate headquarters building located in Pontiac Illinois. The Client Services team will benefit from his vast knowledge of ITAD/ITAM management solutions and his 30+ years of Sales and Customer Support experience. In his spare time Ray enjoys golfing and visiting his children who attend college abroad. Matt Putney Joined ATR in June 2015 helping with the construction of our Hazel street building and worked his way into the warehouse. Once in the warehouse he worked on getting his box truck License once completing that he went to get his CDL. Matt then went into sales to become the Asset recovery Manager. Matt was born in Illinois is married with two dogs. Matt and his wife enjoy going to movies spending time with friends and family. Brodie joined ATR in April of 2012 is one of the original store owners from B & K Computer Source which was 1 of 2 retail outlets that were opened in the early 9o’s. Prior to joining ATR, Brodie spent 20 years providing ITAD/ITAM services to West Michigan B2B customers. 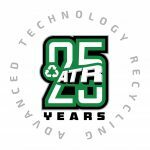 Brodie utilizes his 25+ years of IT background and entrepreneurship to develop innovative sustainable recycling solutions to help ATR customers improve their triple bottom line. During his tenure Brodie has augmented the company’s regional customer base onto a national platform and develop ATR’s current marketing strategies. In his spare time Brodie enjoys piloting unmanned aircraft (Drones) and spending time 4-wheeling the vast network of Michigan trails with his family. 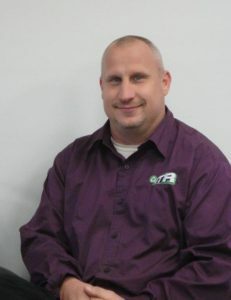 Dan Hendershott is the Site Manager at our Pontiac, IL location. He has been a part of ATR since 2009. He started as one of the warehouse workers and then became the Warehouse Team Lead at the Pontiac location before transferring to the Peoria site to become the site supervisor. Dan is a big Chicago Cubs fan so he said that he really enjoys when Ken and Barb give tickets out for the home games to their employees. He also said that he tries to watch every Cubs game that he can in his spare time. ATR is not currently accepting residential drop offs at this location. Craig joined the Advanced Technology Recycling (ATR) team as Warehouse Technician in 2014 and was quickly promoted to Team Lead, followed by Site Supervisor before his promotion to Site Manager. Craig studied electricity and electronics in high school earning an honors diploma in Trade Electricity Industrial Electronics. Joined the USAF to continue studies in the electronics field where he received training as an Avionic Sensor System Specialist. 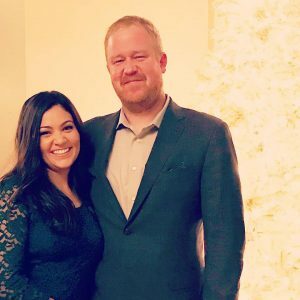 After leaving the USAF he worked in a manufacturing setting for 25 years starting in an entry level position and working to become a department supervisor. He attended Cornell University to further his education earning a certificate in Supervisory Studies. Craig also attended Welder Testing and Training Services to become a certified welder. Craig married his wife Lynnette in 1989, has a daughter Aimee and recently became a grandfather to a beautiful baby girl Victoria. When Craig is not at work or playing with Victoria as a hobby he enjoys working on cars. Isaac joined the ATR team as Site Supervisor for the newly acquired Salt Lake City, Utah location in 2016 and was recently promoted to Site Manager. Hired in 2015 as Facilities Manager, Isaac quickly excelled in the industry due to his natural ability and love for dismantling and repairing all things. Prior to working in the industry of e-waste recycling, Isaac spent over a decade in the automotive industry, gaining experience in a plethora of areas; including inventory of salvaged vehicles, parts warehousing, and body shop management. Isaac attended Salt Lake Community College and received his ICAR certification and later went on to receive his Associates Degree in Restaurant Management with an emphasis in Culinary Arts from the Art Institute of Draper. Isaac married his wife, Dani in 2014. Together they live in Utah and enjoy exploring the mountains with their two dogs. Isaac’s hobbies include smoking meat with his Traeger Timberline, 4-wheeling and camping (specifically in Southern Utah), and rebuilding his 1996 Ford Bronco. Isaac is a passionate, tenacious professional whose surplus of skills will lead ATR’s Salt Lake City team and successfully grow the Western footprint in years to come. Chris Sonderhouse recently joined the ATR Team as the Site Manager for Grand Rapids. Chris has over thirty years experience in the physical/electronic security industry where he managed large personnel groups, facilities, fleet and inventory. He was born in Western Michigan and graduated from Grand Valley State University with a B.B.A. Chris enjoys hiking, biking, gardening and loves to cook. 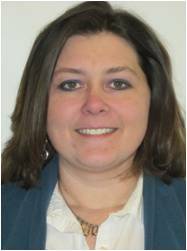 Joyce O’Dell recently joined the ATR team as the site manager for San Antonio, Texas. Joyce has owned her own business as a custom home builder and has a background in a wide range of project management, construction cost estimation, real estate inspection and site building planning. Joyce is also passionate about helping others, especially during national disasters. 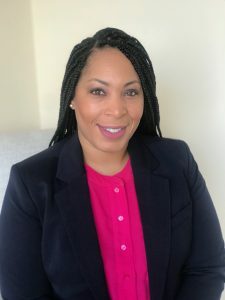 She maintains credentials as a FEMA contractor and has been deployed to disasters all over the country in various disaster recovery roles, most recently to Florida and Puerto Rico. She finds being able to aid in helping people regain some sense of normality after a devastating loss especially rewarding. Joyce is excited about her new position and is passionate about recycling. She has spent a lifetime re-purposing just about anything and understands the benefits of protecting our environment. Joyce is a newlywed and has been married to her husband Chuck since January of 2018. They share a common interest in fishing, exploring new places, and all things related to travel, water and the outdoors. Joyce loves to spend time with her friends and family, especially her Grandchildren. Shamica joined the ATR team in February 2018 as a Compliance Coordinator/Admin. In just a mere 6 months, she was promoted to Site Supervisor. Shamica has an extensive background in marketing, customer service and quality control with over 15 years of experience. She is a mother of two boys who likes to read and play video games. In her spare time, she likes to craft home décor and refinish pieces of furniture she finds at antique shops. Shamica also loves to cook and is very adventurous with hobbies like ski diving and bungee jumping. She is passionate about team work and driving for measurable results. Check back soon for Charles’ BIO. Thomas came to ATR in 2016 working at our Tooele facility. Learning and growing with ATR, Thomas has excelled in he skills learning the electronic recycling and asset recovery business of ATR. In 2018 Thomas was promoted to site manager for ATR’s newest site in Las Vegas. Thomas married to his wife Patricia, and has a daughter Paula and is native to California. He migrated to Utah during his high school years. Enjoying such places like Nebraska, Alabama, Alaska and Oregon, Thomas was able to Bachelors and Post-Graduate work and joined the Air Force. In Thomas free time he enjoys playing tennis and watching his college football team the Utah Utes. Thomas also continues reading his pas studies which were philosophy and theology. Chris Jackson has recently joined the ATR Team as the Site Manager for San Antonio. Chris has 26 years of experience in Logistics and Transportation Management with 22 years in the United States Air Force. Chris enjoys Golf, Fishing, Classic Cars and spending time with his Family. Josh started at ATR in 2014 and has worked in a couple of different roles at ATR. He started in the Operations side of the business before transitioning to the sales side and finally to the Site Start/Restart Manager. In his current role, he travels to remote sites to give assistance to the Site Manager/Supervisor and to make sure that the sites are remaining compliant and to help problem solve any issues at the sites. He is also responsible for starting any new sites from the ground up. He has been married to his wife, Laura, for 21 years and they have two children. Their daughter is currently going to school to get her Master’s Degree and their son is going through the process to enroll full time in the United States Army. In his spare time, he loves to sit down with his daughter and enjoy a Duke Blue Devils basketball game. Laura also known as Laurie joined ATR in 2012 as a receptionist. 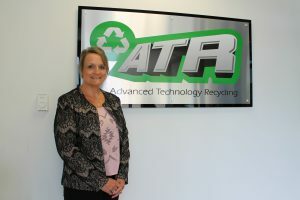 Laura quickly learned what ATR was about and was promoted to with in the logistics department helping coordinate pickups with customers, arranging inbound and outbound trucks for ATR’s internal process. Laura also was in charge of getting the fleet of vehicles ready to go for digital log recording. Laura then was promoted to work in the compliance department to make sure ATR stays R2 compliant and other certifications ATR holds. Currently Laura is part of the Site Start and Restart team helping bring new locations online and restarting locations that need attention to assure ATR is bringing 100% quality to our customers.